I have known about Hakka Thunder Tea (客家佬擂茶) at Tanglin Halt Food Centre for years but I have never thought of trying it because I am not a big fan of thunder tea. I always think that it is a weird idea to have rice with tea. 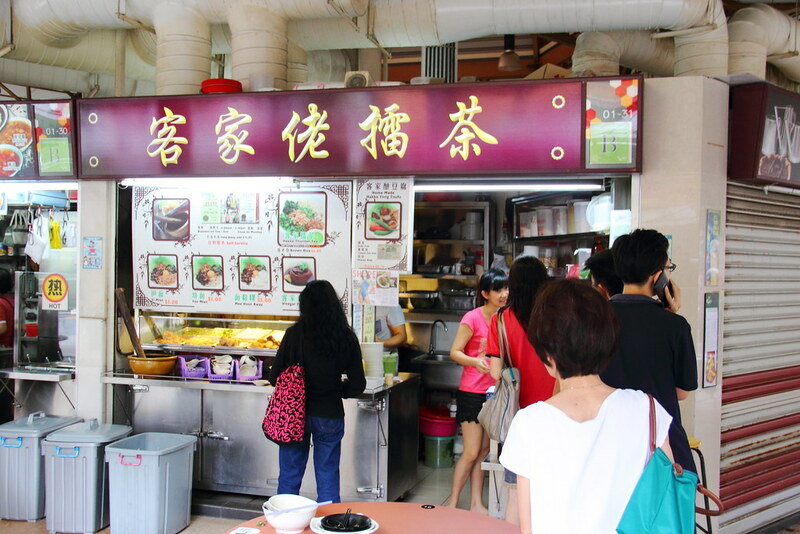 Anyway I decided give the stall a try as I noticed that they also sells Hakka Yong Tau Foo. The greedy me picked almost all the different varieties available. 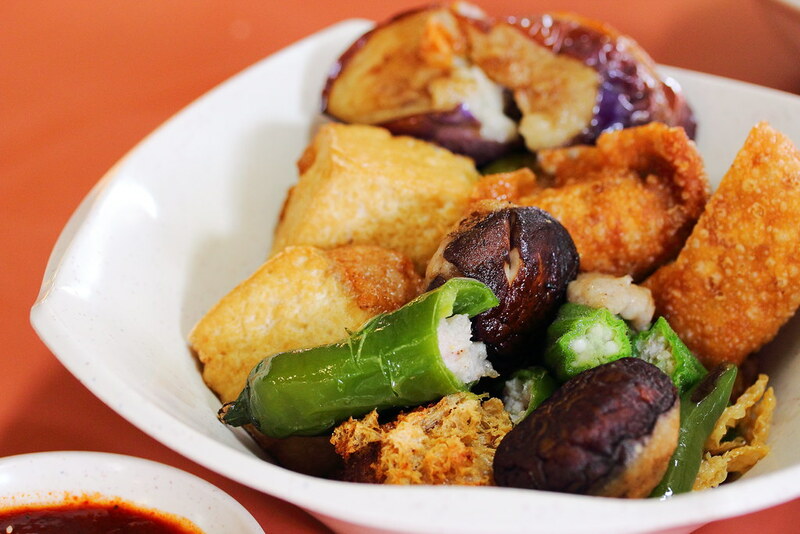 All the Yong Tau Foo comes stuffed with fish paste. There are items such as brinjal, bitter gourd, chilli, mushroom, beancurd, tau gwa, lady finger etc. 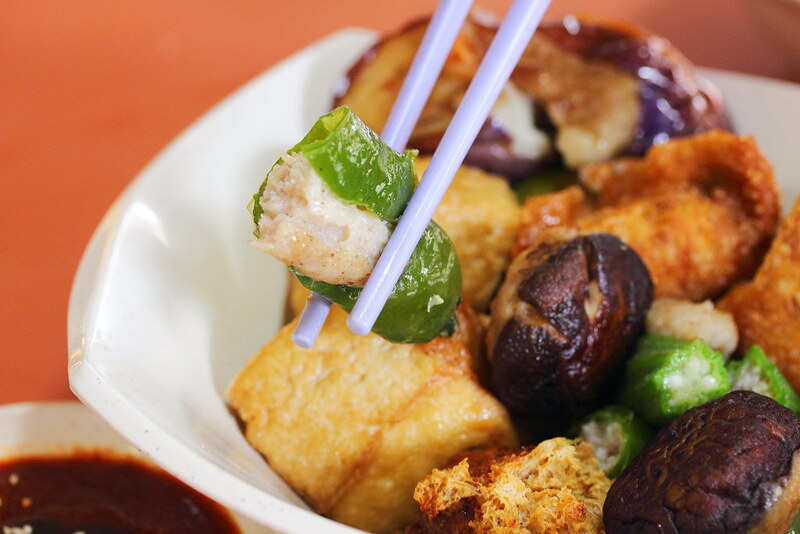 I am not sure but I suspect these yong tau foo is homemade as you can see the inconsistency in the ingredients. 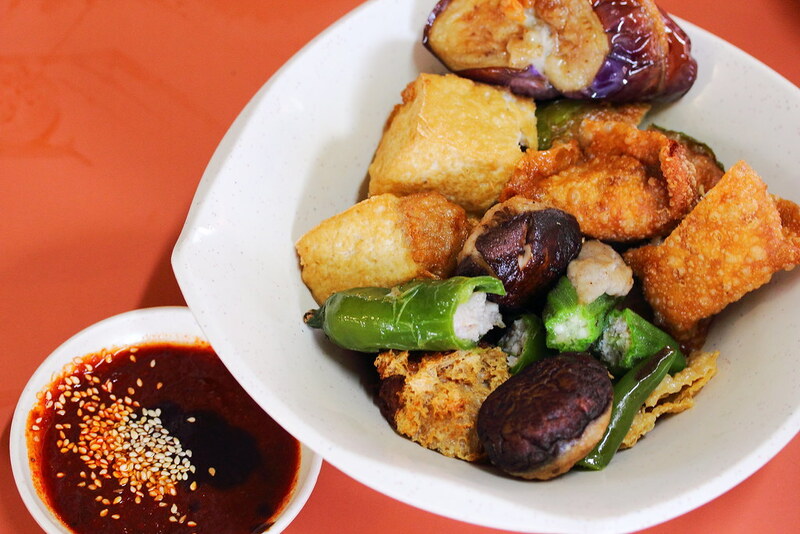 The yong tau foo comes in either dry or soup version. I decided to go for the dry version for the reason that almost all the ingredients are deep fried stuff. It will be good if they offer a mix of non deep fried stuff. Pardon m but I could not remember the exact price. I think it is sold at sixty to eighty cents per piece. For those that likes Thunder Tea, it seems that the stall is quite popular with it. Basically most of the people in the queue is ordering that, and I was the odd one out.